We welcome all new members and would love to see you come along and give racing a go. Club nights are run at our Erina Pool Facility on a Friday night commencing at 6pm sharp. Swim club runs 16 club nights per year (4 per school term). We do not run in school holidays. Please see dates below for club nights. Ask our Manager or Coaches what grade they recommend your child should trial at swim club. 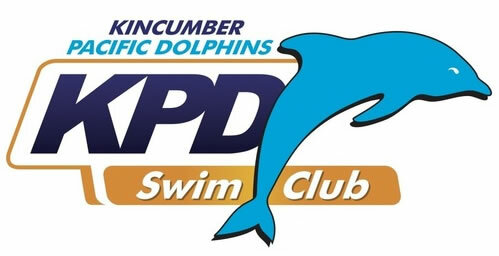 Email our Club Night Race Organiser—clubnight@kincumberpacificdolphins.com.au with your child’s full name and Date of Birth also what grade your coach recommends you should swim. Arrive at Erina Pool by 5.45pm. See person who is downstairs as you walk in and let them know it is your first night and they will advise when your child will swim and when to come to marshalling. As it is your first week, it is encouraged that parents stay with their child until they are taken up to race. It can be a bit overwhelming due to the fact that there is quite a number of swimmers and can get hectic. Each child will do 2 swims per night (always freestyle), the other will depend on what other stroke is being done that night. See Club calendar opposite. Once your child has raced, they will receive a time (which you keep for your records) and then they get ready for the 2nd race. Head back to marshalling area—once called. After each club night results are sent out by email so you can see how your child went. Points are awarded each club night for their swim and accumulated for our end of year presentation night. Follow the links below for all upcoming and past swimming events and results.